Inspired by tiles and the motifs within a mosaic, the Mediterranean Mosaic collection manages to evoke a sense of warmth and simplicity. 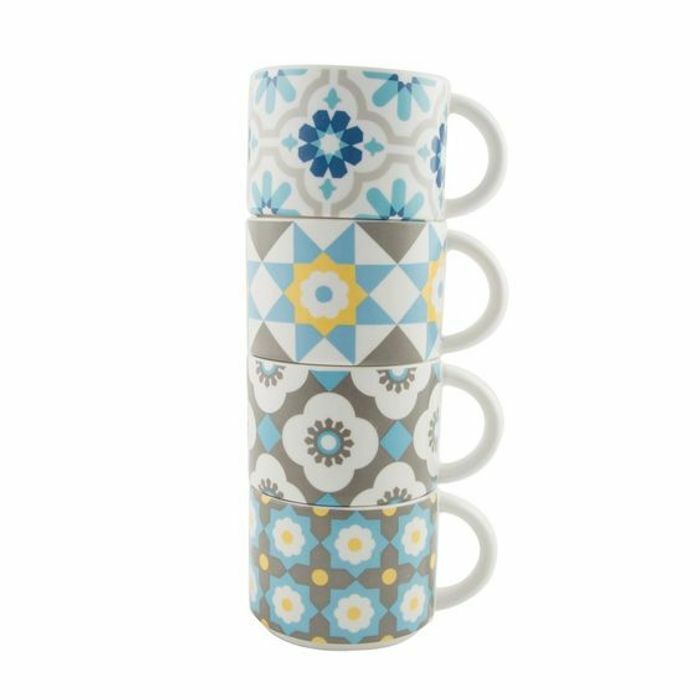 This collection, and in particular these delightful stacking mugs, play with the concept of mix and match bringing the process of a mosaic to life. A great way to add fun to everyday homeware pieces. There are four designs in this set and each mug is made from porcelain.